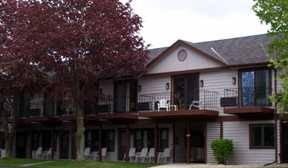 The Lull-Abi of Egg Harbor is conveniently located at the top of the hill in Egg Harbor. We are a family owned and operated facility, with 18 rooms, 5 suites, and a 2 bedroom apartment convenient for couples and families. All rooms are air- conditioned with cable TV and amenities. Free wireless internet! We are situated on 3 acres of well landscaped grounds. The Lull-Abi provides a great place to return to after a long day of sightseeing. 2019 Rates: $79-$199 off season; $89-$209 peak season.